that something aside from cholesterol and saturated fats were not the only things found in red meat associated with heart disease. Chronic ingestion of carnitine shifts the metabolism of cholesterol. Eating carnitine causes more cholesterol to be deposited onto artery walls, and less to be eliminated from the body. This is how scientists now think carnitine in red meat is linked to heart disease. Reducing consumption of red meat will reduce the chances of heart disease. Red meat should be limited in diets. 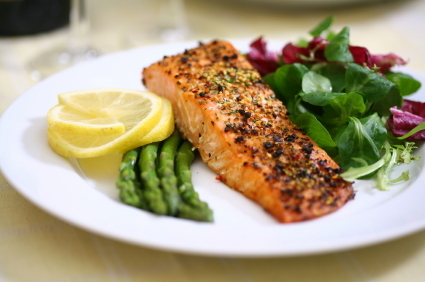 Chicken, turkey, and fish are good sources of protein that can replace red meat. Aside from the carnitine found in red meat that leads to heart disease, the saturated fat and cholesterol already in the red meat also leads to heart disease. What will you do to reduce your red meat intake? Obesity in America has become not only dangerous to many people’s health, it has also led to an increase in health costs due the increase of people developing chronic diseases each year due to a poor diet and lack of exercise. This increase in overweight Americans has not only been occurring in adults but also has had a significant effect on children. According to the article, Fat and Getting Fatter: U.S. Obesity Rates to Soar by 2030, by Sharon Begley, “Obesity rates among U.S. adults have more than doubled from the 15 percent of 1980. In that same time, they have more than tripled among children” (Begley). This is causing huge health costs in the United States that could be prevented if people were taking better care of themselves. According to the Centers for Disease Control and Prevention, an obese teenager is 70% more likely to be obese as an adult and 80% more likely if they have a parent who is obese (Boodman, 2011). With that being the case, there is a big likelihood that more people are going to be overweight in the future if people don’t start making healthier lifestyle changes. 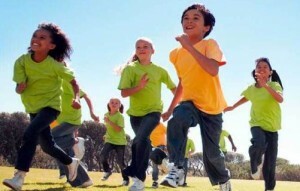 Adults have a big impact on children when it comes to diet and exercise. If children aren’t introduced to physical activity and good eating habits they are more likely than not going to keep the same habits throughout their lives. Parents set a huge example for their children so if they are not engaging themselves in physical activity or eating healthy than they are influencing their children to do the same. The continuation of poor lifestyle choices being made with each generation is only going to continue. 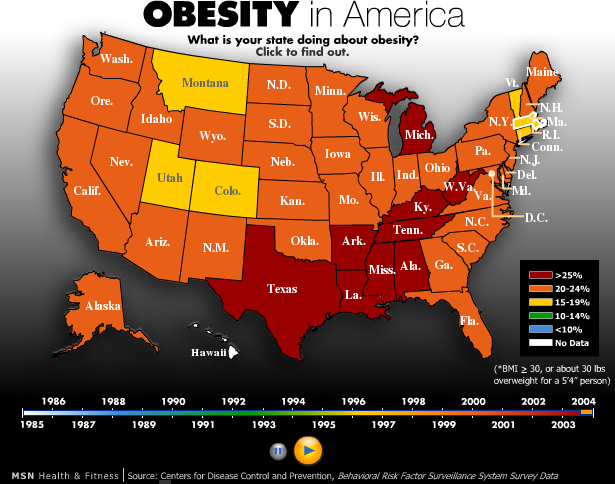 Obesity is the second leading cause of preventable deaths in America (Ellis). There are several lifestyle changes that can be made to decrease this risk. Engaging in more physical activity throughout the day, watching less TV, and changing foods in one’s diet are all small steps that could help decrease the chances of someone being overweight, which would decrease the death rates and lower health costs as well. 2) Boodman, S. G. (2011, March 22). Parenting an overweight child can be difficult. Washington Post. How will you get up and move? When thinking of healthy eating, few think of adding spices to their food. Spices are a great way to make your taste buds happy while reaping nutritional benefits like reducing pain, reducing the risk of cancer, and promoting a healthy heart. Adding spices can also reduce the need for added salt! There are numerous spices that are beneficial. Here, we’ll focus on cinnamon, capsaicin, ginger, garlic, thyme, and oregano. Cinnamon is a popular, sweet spice that has several benefits to heart health including keeping cholesterol in check, reducing plaque build-up in arteries, and reducing blood sugar levels. Cinnamon has a warm flavor that pairs well with oatmeal, a sprinkle in your coffee, or on top of cooked carrots. Another favorite way to enjoy cinnamon is to combine a spoonful of sugar with cinnamon and dip apple slices in it for a delicious snack. For a spicy kick to your meal, consider incorporating capsaicin. Capsaicin is the element in hot peppers that gives them their spiciness. It can help reduce pain, sustain a healthy heart, and stop ulcers. Consider adding paprika (which has capsaicin) to your popcorn for a spicy treat! Ginger is one of the best spices to aid in digestion. Ginger can improve absorption of nutrients, reduce nausea, reduce flatulence, and reduce stomach cramps. More benefits of ginger include anti-inflammatory properties and easing congestion when a pesky cold or sore throat is bothersome. Consider adding ginger to your tea with a little bit of peppermint. Garlic is probably best known for its pungent, sharp flavor. Garlic can be used in a plethora of different ways. In the diet, garlic is a powerful antibiotic and antiviral agent. Studies suggest that garlic may also prevent blood clots from forming in arteries. A great way to enjoy garlic is to combine a minced garlic clove with mashed avocado, lime juice, and a little bit of salt for a tasty guacamole. 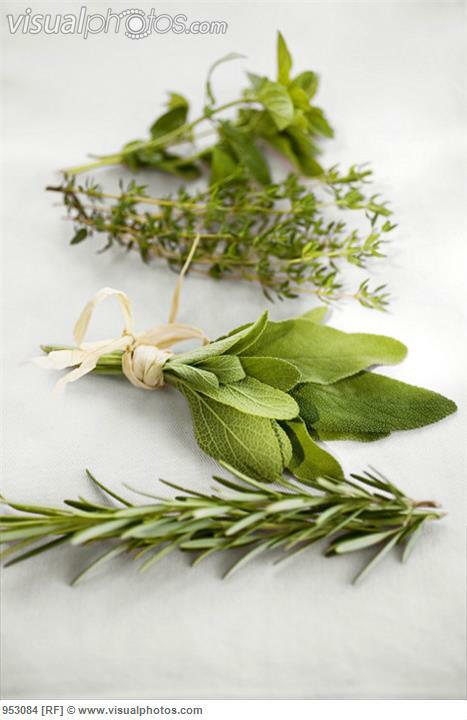 Thyme is a member of the mint family. It has a strong flavor that compliments flavors in things like soups, stews, and roasts. 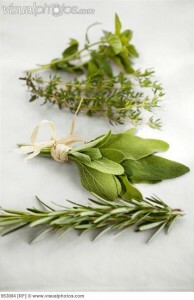 The oil found in thyme is a powerful antioxidant. It has also been shown to have naturally occurring antibacterial properties. The great thing about spices having antibacterial properties is that bacteria don’t build immunity to them, unlike traditional antibiotics. Oregano is well known as an addition to pizza or other Italian dishes like pasta. Oregano can prevent bacteria from multiplying and it is also a great source of vitamin K, as well as other antioxidants. Oregano can be used to make a tasty, low-calorie salad dressing by taking a tablespoon of olive oil, a pinch of red pepper flakes, and a teaspoon of oregano. Simply heat the ingredients until they are fragrant and add to your salad with a drizzle of red wine vinegar for a fresh, homemade dressing. Posted in Uncategorized | Comments Off on Spice Up Your Life! What does a dietitian do anyway?! Ever had a question about what to eat when dining on campus? You’re in luck because Sodexo has a network of dietitians who can help answer that very question! Health and wellness are a large co mponent of Sodexo’s 14 Commitments to a Better Tomorrow. Sodexo and its employees strive to make the world a better place by providing fresh, tasty and nutritious fare for our customers. 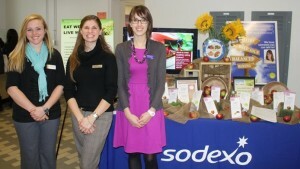 To help educate our nation’s future about making healthy choices, Sodexo employs dietitians throughout college campuses. 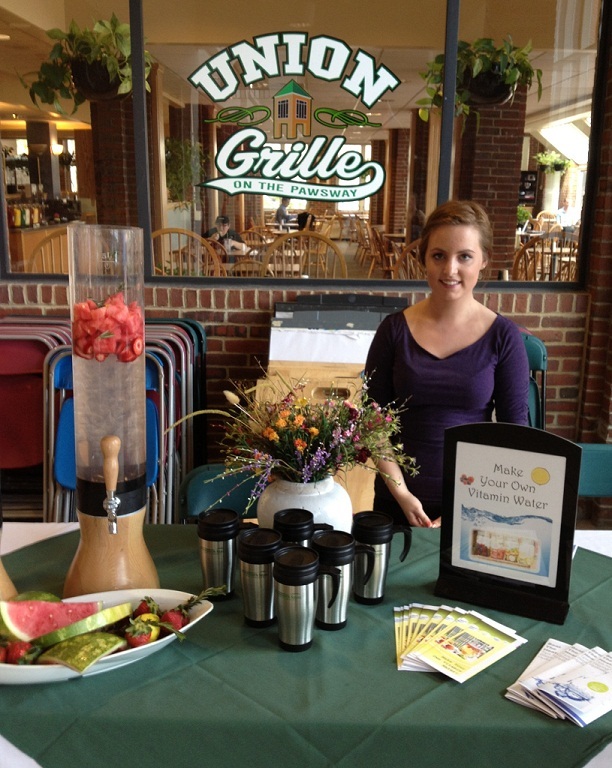 Dietitians offer a plethora of services to the students, faculty and staff with whom they work. They provide one-on-one nutrition counseling on topics including weight loss, food allergies, diabetes, high blood pressure, Crohn’s disease, digestive issues, eating disorders, pregnancy, anemia and many others. If requested, dietitians will work with dining staff to create individualized meal plans for students with complex diets and food allergies. Internally, dietitians train management and frontline staff on allergen friendly dining, gluten intolerance, and national Sodexo Health & Wellness programs including Mindful, MyZone, Simple Servings and MyFitnessPal. As part of campus outreach, dietitians provide services such as guest lecturing, interactive nutrition tables, representation at wellness fairs, cooking classes and residence hall presentations. The list is really limitless! As one example, dietitians came together for an event at Colby-Sawyer College in conjunction with the Baird Health Center and dining services to put on its second annual health fair. The event included a table with information on how to build a balanced plate, sugar in beverages and sodium in certain foods. Students volunteered to have their plate “rated” which gave them the opportunity to discuss the foods they had chosen. The dietitians offered simple ideas on how to make the students’ plates more balanced. People often know what the healthy choice is, but may need a friendly reminder or tip on how to go about it. The day ended with a question and answer session which several nutrition classes attended with their professors. It was a great opportunity for the campus community to come together with dining services and dietitians to discuss health and wellness. We are constantly re minded about the obesity epidemic in this country and the health issues that accompany it. It may feel like an uphill battle and people sometimes wonder where to start. Good nutrition begins with knowledge. 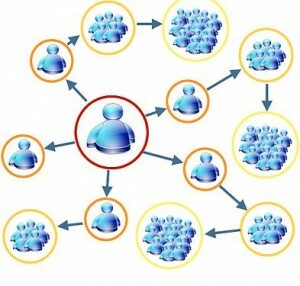 Our network of dietitians reaches thousands of people across the region and plays a part in the solution. Sodexo shows its commitment to a Better Tomorrow by providing access to nutrition experts who are readily available for students, faculty and staff. What are you waiting for? Contact your district’s dietitian today! Posted in Uncategorized | Comments Off on What does a dietitian do anyway?! New York Times writer, Jeff Gordiner writes about how granola has changed over the years. He talks about how a “once-humble granola is now a high-end growth industry.” Gordiner talks about the earthiness of granola and how it was once “the lumpy woolen sweater of the food world.” Times have certainly changed. 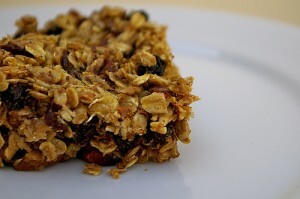 Granola and other healthy foods like hummus and kale have become hip and mainstream in recent years. It is “cool” to eat healthy these days. The more natural and the less processed food is, the cooler it is. 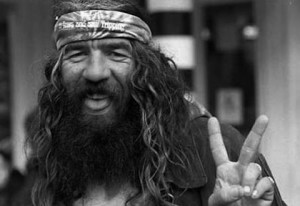 Farmer’s markets are not filled with ‘hippies’ anymore, they are trendy and very popular. Americans want to eat healthy and as natural as possible. Food Inc. and other similar productions have scared and disgusted society into eating healthier. It is disgusting that former leaders of large companies like Perdue Chicken are now writing regulations for the F.D.A. Yes, these folks are knowledgeable in their fields but biased as well. Groups of people are starting to make a statement by avoiding these large companies and trying to eat healthier and more natural. Is eating healthy the new “it” thing? As a Health Promotion major here at Plymouth State University, I was given the opportunity to work with the campus’s very own nutritionist, Sara Patterson. Through this experience, I am learning first-hand how the Sodexo company incorporates good nutrition and overall wellness into all of their campus dining services. Having moved off campus this year, I was eager to see what type of changes the dining services had made. 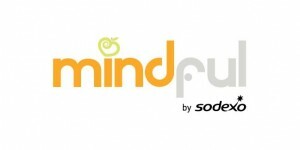 Various new meal programs have been added, including the “mindful” option. Mindful meals ensure you are consuming an appropriate number of calories, as well as optimal nutrients for your health and energy levels. For the student’s viewing, all of the food options have been labeled and provide nutritional values as well as any allergy warnings. With food being the fuel to our busy bodies, it is important that students are able to see what it is exactly that they are consuming. Other healthy improvements made include gluten free and vegan meal options, spice racks, and various TV’s throughout illustrating nutrition facts and healthy meal options. With such an increase in obesity and nutrition-related illness in today’s youth, it’s crucial that the students have access to a healthy nutritious diet. Working as a health promoter, I created a bulletin board entitled “Spring Clean Your Diet.” With Spring being a time of new beginnings, what better way to start the year than with a healthy clean diet. On the board I illustrated an array of fruits and vegetables that are currently “in-season,” as well as their health benefits and tips on preparing them. For those interested in agriculture and food production, I also wanted to showcase a local farm, D Acres of Dorchester, NH. This not-for-profit permaculture farm functions as an educational center that teaches skills of sustainable living and small-scale organic farming. Many students are unaware as to how important farming is to a community. 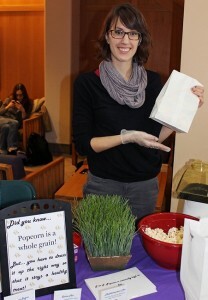 In fact, Prospect Hall has recently been serving products from local farms such as eggs and baked goods. In return, all of our weekly vegetarian food scraps are sent towards the pigs of D Acres Farm. Another project I’ve taken on working with Sara was creating a pamphlet for students showcasing the idea of homemade vitamin water. Many students today rely on sugary soft drinks in order to keep them going throughout the day. In fact, studies show that among teenagers, soft drinks account for nearly 13% of their total calories. As a healthy alternative, our homemade vitamin water recipes are made with fresh fruit and herbs. 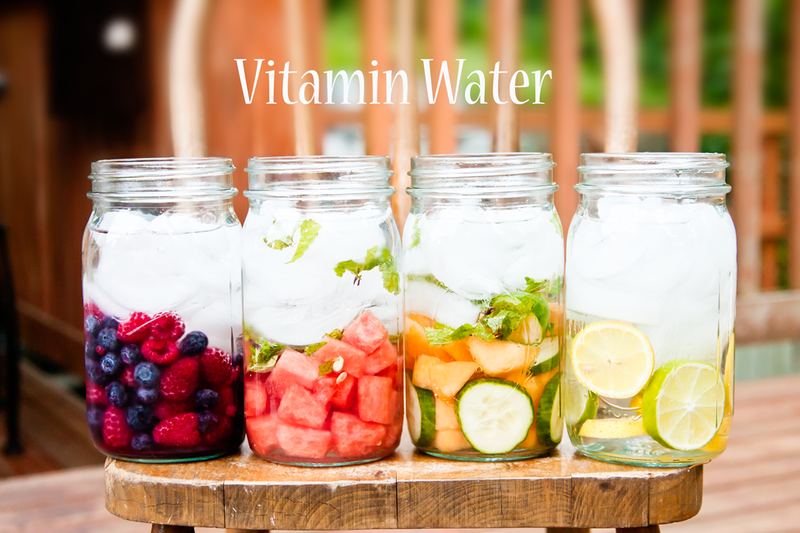 They provide you with essential nutrients and antioxidants, as well as keep you hydrated throughout your busy day. I am confident that throughout my time spent working with Sara, I will be able to successfully promote good nutrition as well as implement various projects. A healthy diet is so important to a person’s overall wellbeing, and it is our job to provide that privilege to the students of Plymouth State. How do you bring nutrition to campus? Lactose, known as milk sugar, is a well-known carbohydrate found in mammalian milk. Did you know that lactose intolerance is NOT an allergic reaction to milk? In reality, lactose intolerance is merely sensitivity towards abundant amounts of lactose-containing dairy products. The amount of lactose that is consumable symptom-free varies from each individual and can be tested accordingly. The side effects that are felt are actually due to a lack of lactase, an enzyme that is a crucial part of lactose digestion. During infancy, levels of the enzyme lactase are at their highest, decreasing with age. In lieu of this, lactose intolerance is more common in adulthood, leaving two-thirds of the world’s adult population unable to digest milk with ease. Although lactose intolerance is felt globally, its prevalence differs greatly from country to country. Shockingly, over 50% of the population in Asia, Africa, and South America suffer from lactose maldigestion! Even with experienced sensitivity to lactose, it is important to recognize the amounts of lactose which may be okay, and leave semi-intolerant people symptomless. If avoidance is the route that is chosen, the calcium and vitamin D which is found in lactose-containing dairy products like milk needs to be replaced within other foods. Some non-dairy items that would provide calcium include nuts, broccoli, papaya, spinach, sesame seeds, oranges, molasses, sardines, kale, and calcium-enriched beverages. Another remedy is the lactose-free milks that are available, containing parallel amounts of nutrients to traditional milks. Other possibilities include the addition of supplements, substituting with products that have reduced lactose content like hydrolyzed lactose or fermented dairy products, using a lactose preparation to alleviate symptoms from digestion, or using a lactose preparation that changes the way that lactose is digested. Regardless of how lactose intolerance is dealt with, sufficient nutrients is still required regardless of lactose sensitivity. Posted in Uncategorized | Comments Off on Calling all Lactose Intolerant! Going out to eat and finding a healthy meal can be a challenge. 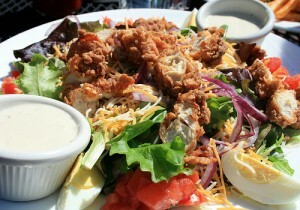 Many individuals who opt to dine out assume that ordering a salad will prevent the damage of packing on calories. Have you ever assumed this? Well, reevaluate! There are a few restaurant chains who have not mastered a healthy salad plate menu option. Take a look at the chart below, based upon the information from takepart.com about each salad’s fat and calorie count. However, it is still possible to avoid the pitfalls of this nasty restaurant trick. Here are a few key words to avoid to make sure your salad is staying on the healthy side! *A La King: This term typically means the plate is not only piled high with ingredients, but a cream sauce is usually included. *Béarnaise Sauce: All you need to know is that the heart of this sauce is butter based. Enough said. *Caramelize: This term can generally be associated with frying the food…to bring out it’s natural sugars and flavors, the food (such as an onion) will generally spend a little more time frying in the pan than if the ingredients were not “caramelized”. *Cream, Crispy, Sautee and Stir fry: These terms undoubtedly scream “extreme artery cloggers”. *Crusted: The typical way of “crusting” an ingredient involves oils and sugars…yuck. *Flash Fry: Just because “flash” means “fast”, does not mean that the extra oil did not have time to stick to what you are consuming. Bash the flash and opt for something else. Your heart will thank you! *Boiled, Steamed, Broiled, Grilled, Baked: Yes please! *Al Dente: This fancy term may sound like it will be overly rich and overly stuffed with ingredients you don’t want, however all it means is that the ingredients are not overcooked. This is a great healthy option! *Blanch: All this involves is a quick dip in different temperature waters. Help yourself! *Glaze: This may be acceptable if it was not glazed in oil. The dish may have an egg yolk glaze. Just ask your server! *Marinate: This will just enhance the flavor to make those healthy toppings more scrumptious. Yum! *Parboil: All you need to know is that this option involves boiling. Dig in! *Reduce: This just means that the food was boiled and simmered. This is alright! *Skim: This means the extra fat is being removed….yes! *Thicken: This may sound like a no-no, but just ask your server what they used to thicken the ingredient with. It may just be a pinch of flour or drop of cornstarch! *Top and Tail: This just means that the end of the ingredient (such as a snap pea) is being removed. Don’t be fooled by wordy terms! Another quick tidbit of information? Use your common sense! For example, a salad that advertises, “Perfectly drizzled with candied nuts and a medley of dried fruit”screams sugar. It is the little details that really make a difference. So don’t be ashamed to ask to make little changes. Ask for no nuts, and maybe to throw a handful of strawberries or blueberries on top instead. Are you into Asian Inspired salads? The number one ingredient that is usually on an Asian salad is fried sesame sticks or fried noodles. So, be an educated consumer that differs from the rest and know what is being put in your food! 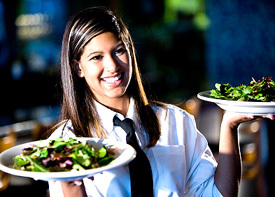 Remember, it is possible to eat healthy at restaurants and to order healthy choices. Don’t be blind to the restaurant business. Do your body a favor, and think before you order! Happy dining! What’s your favorite restaurant dish?